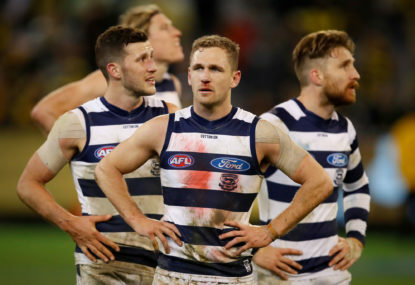 Like a fresh Granny Smith coming face-to-face with a schoolyard fence, Hawthorn’s 2018 premiership campaign came to a catastrophic splat on Friday night. Played out at the MCG, Melbourne’s 16.8 (104) was more than enough to sink the axe in Hawthorn, who mustered up a meagre 10.11 (71) at the other end. 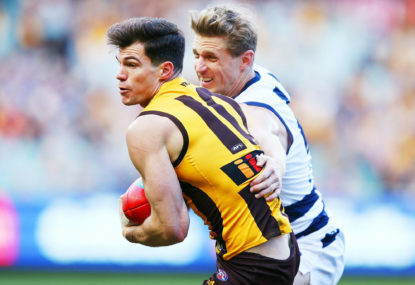 Desperately searching for a narrative beyond the second consecutive Tiger fairy tale, familiar faces in the media hyped up Hawthorn’s chances in the finals off the back of another top-four finish under the reins of senior coach Alastair Clarkson. Crashing back down to reality, the Hawks instead endured a fourth consecutive finals loss and remain winless in September since going all the way in 2015. Before the loss to Melbourne, it was a loss Richmond by 31 points. Missing finals altogether in 2017, we next discover Hawthorn in 2016 – defeated by Geelong by two points in the opening round of finals and eliminated in straight sets the next week at the hands of the Western Bulldogs – 23 points separating the Hawks from the eventual premier. Hawthorn’s reputation as a fearless finals contender continues to burn bright but the harsh reality is the holy triumvirate of Sam Mitchell, Luke Hodge and Jordan Lewis has long since left the building and the shell that remains is little more than a middling outfit. With a second consecutive straight-sets finals elimination recorded in the history books the time for finger-pointing and blame-sharing once again arises. 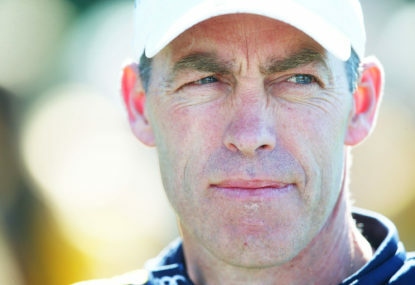 The only figure who truly lays blameless in 2018 appears to be senior coach Alastair Clarkson, taking the Hawks into the top four – a higher finish than they really appear to deserve. Hawthorn finished this season with 15 wins and seven losses, tied with Collingwood in third and trailing by less than one percentage point. Despite grabbing the double chance, the warning signs were always there for the Hawks. After a ripping first month, Hawthorn recorded losses to North Melbourne (Round 5 – 28 points), an unconvincing Sydney (Round 8 – 8 points), West Coast (Round 10 – 15 points) and an injury-rocked Greater Western Sydney (Round 15 – 11 points) selling the world the image of a side capable of rattling sabres against the best but also void of competitive consistency. The two biggest sour notes on Hawthorn’s season by far were the two losses to Brisbane. 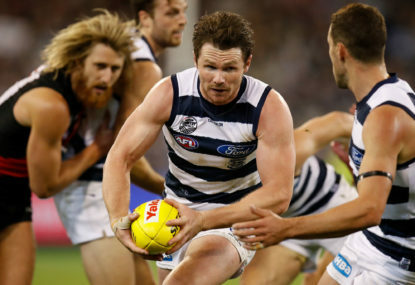 The first in Round 9, a shocking 56-point blowout, and the second in Round 17 – another smacking, this time to the tune of 33 points. Inevitably supporters of the Hawks will cry out when they read this, surely noting that Hawthorn finished just three wins below minor premiers Richmond (18 wins v 15 wins) and that a few minor changes in results could’ve shaped a much different season. The two losses to Brisbane make that hard to take seriously. 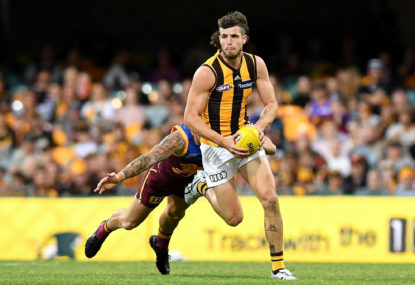 Hawthorn is in dire need of a forward-50 shakeup, which seems like a more fun thing to say in the presence of Jack Gunston, Luke Breust and Jarryd Roughead. Despite recording an additional five wins this season versus last (15 wins v 10 wins) Hawthorn managed to kick just 108 more points total for the season. The real improvement clearly came in the back half of the ground, with the Hawks conceding 413 points less than the year before. Hawthorn’s secret to success during the premiership years is easy to appreciate when you look at those numbers. Kick more than 2400 points each season and give up as few as possible – anything under 1900 will do just fine. The Hawks managed to comfortably tick the defensive box this season but were sorely lacking offensively for the third year in a row. 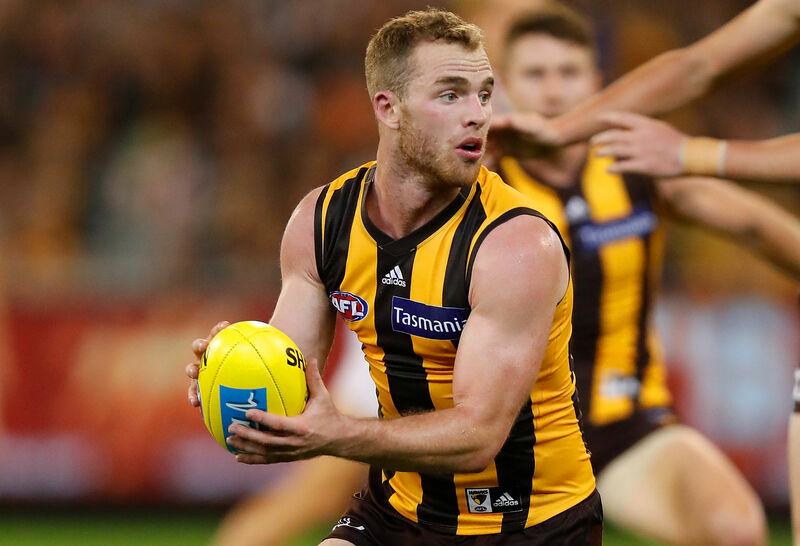 Hawthorn’s attention now must turn to securing the next big full forward, and it seems that with Gold Coast captain Tom Lynch almost certainly heading to the Tigers than the Hawks will be strapped for options in 2019. Hawthorn’s list is lacking premium, top-end talent, despite being a consistent force at the trade table each and every off-season. Jack Gunston, Luke Breust, Liam Shiels, Tom Mitchell, Jaeger O’Meara, James Sicily and Isaac Smith are all premium footballers but together they don’t form a spine that comes close to the AFL’s leaders. Outside of this group Hawthorn also faces an age crisis. Shaun Burgoyne (35-years-old), Jarryd Roughead (31-years-old), Paul Puopolo (30-years-old) join Isaac Smith (29-years-old), James Frawley (29-years-old) and Ben Stratton (29-years-old) are players who appear too experienced (and talented) to be pushed out of the best 22, but not strong and energetic enough to lead the club to premiership success. We can likely expect Hawthorn’s woes to continue in 2019. As a result of the top four finish, the Hawks can expect repeated encounters with Richmond, West Coast, Collingwood, Melbourne and or Sydney. While Sydney appears to be on the slide, the other four sides should only improve next season. Under Alastair Clarkson, anything is possible for this Hawks outfit, but after a second consecutive straight-sets exit from finals, there’s little to look forward to for this Hawthorn side from a pragmatic view.